We have 2 Moobox systems to give away. 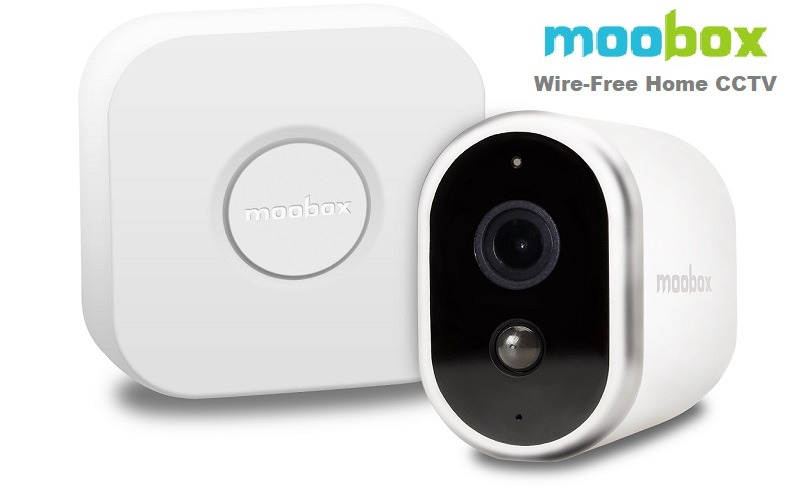 When it comes to home security cameras nothing is as simple to install and use as Moobox. Forget the hassle of finding a suitable wall socket. Moobox cameras are cordless with a rechargeable battery (lasting up to 4 months with typical use) and come with a magnetic wall mount, setting you free to place them just about anywhere you want. With HD video quality, live streaming, two-way talkback, PIR motion sensor, 2-in-1 video recording system, instant alerts to your phone, and more, Moobox wireless security cameras help you watch over people and places that matter to you - anywhere, anytime. Use the dedicated Free MooboxCam app for iPhone, iPad and Android to drop in and remotely view your home Live, playback archived motion triggered clips on-demand and generally manage all aspects of the Moobox system with ease. Reassuring home monitoring is now effortless and affordable with Moobox. So whether you want to keep an eye on your home while away, watch over loved ones remotely or just check up on your pet from work Moobox makes it easy. We have a Moobox system to give away to 2 lucky people. So enter now!